More compatible and detailed information, please refer to our website battery-adapter.com. 1. Release the following 13 latches on the keyboard cover, in that order: - One latch on right side and one latch on left sides. - Five bottom latches. - Six front latches. 2. 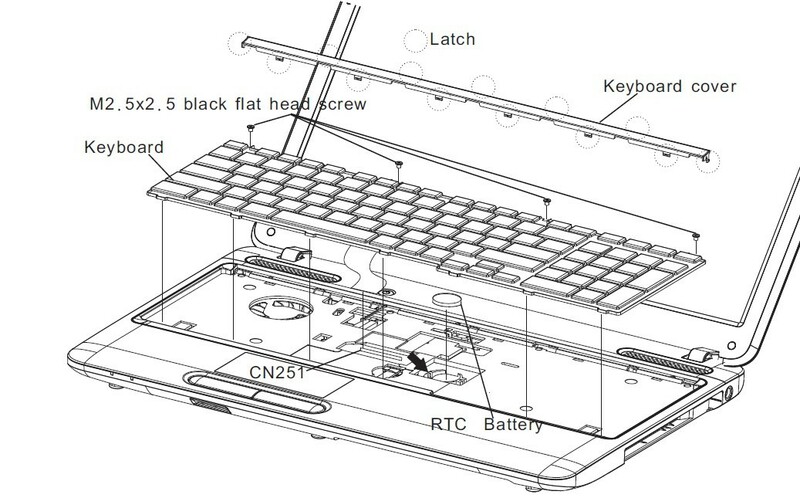 Remove the keyboard cover. 3. Remove four M2.5x2.5 black flat head screws. 4. Disconnect the keyboard cable from CN250 on the system board. 5. 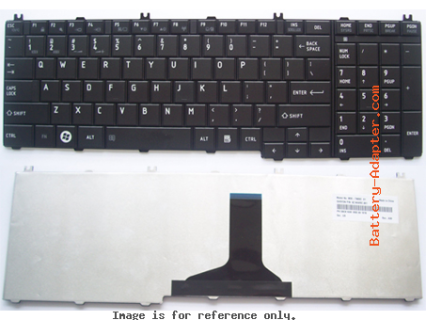 Remove the Toshiba Satellite C650, C655, L650, L655, L670, L675, L670D, L675D Series keyboard. 6. Reverse the procedure to install the new keyboard.